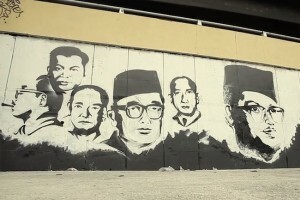 When Putrajaya was developed as Malaysia’s new administrative centre in the nineties, estate workers living on the land were moved to flats in nearby Dengkil. This low-cost housing was supposed to be a temporary measure: the residents were told they would soon be allocated terrace houses. 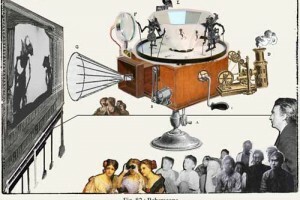 Fourteen years later, they are still waiting. In June this year, the Taman Permata flats showed dangerous signs of cracking and were declared unsafe. 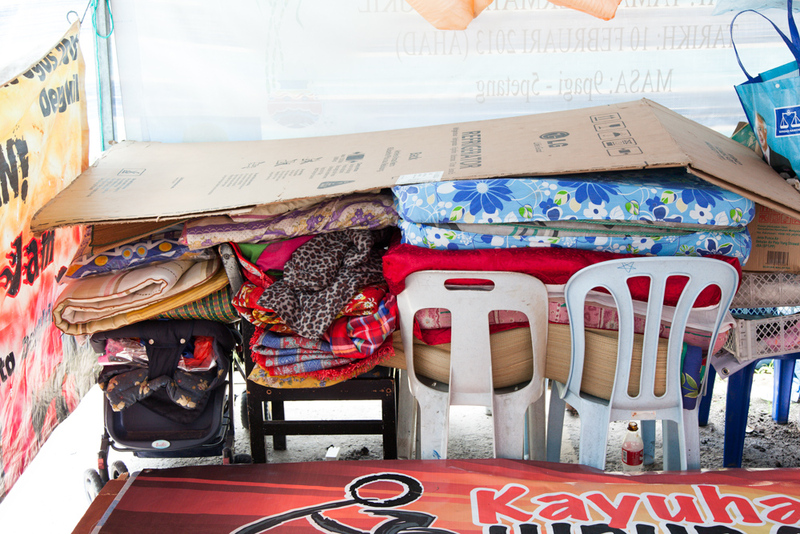 With nowhere else to go, some residents have set up makeshift homes in tents outside. They have camped here for the last two months. Terence Toh reports on this situation in Poskod.my’s feature story. 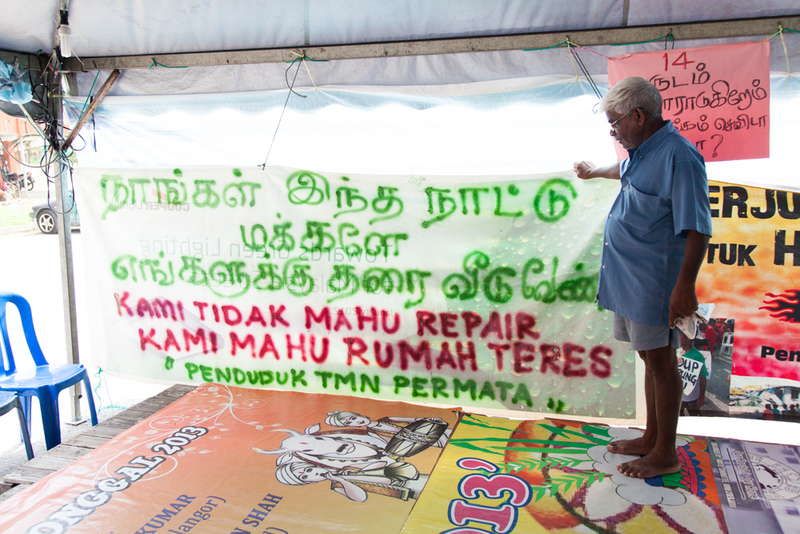 Large banners are hung all over the tents proclaiming the residents’ desire to move to terrace houses. At night, the residents sleep on mattresses, with the men and women separated. 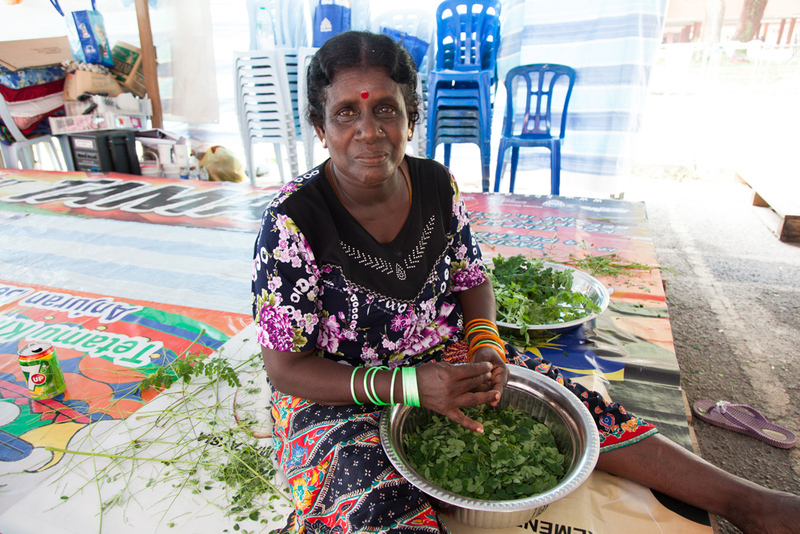 One of the residents helping in the preparation of food. 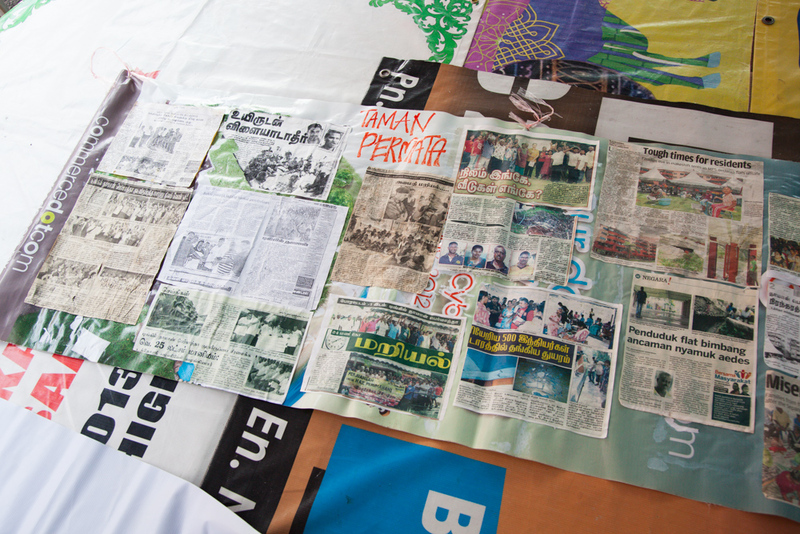 The history of the residents plight is mapped out in a newspaper mural by the tent. 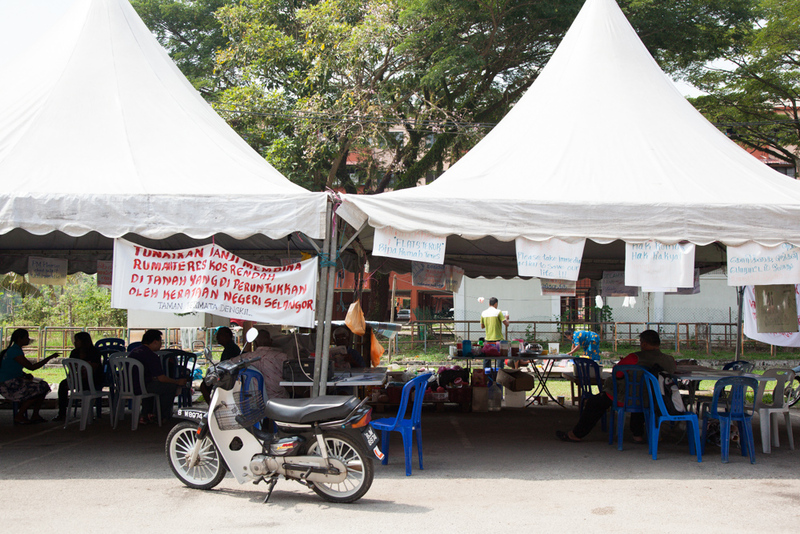 The residents of Taman Permata Flats Block E have been residing under these tents for over 60 days now. 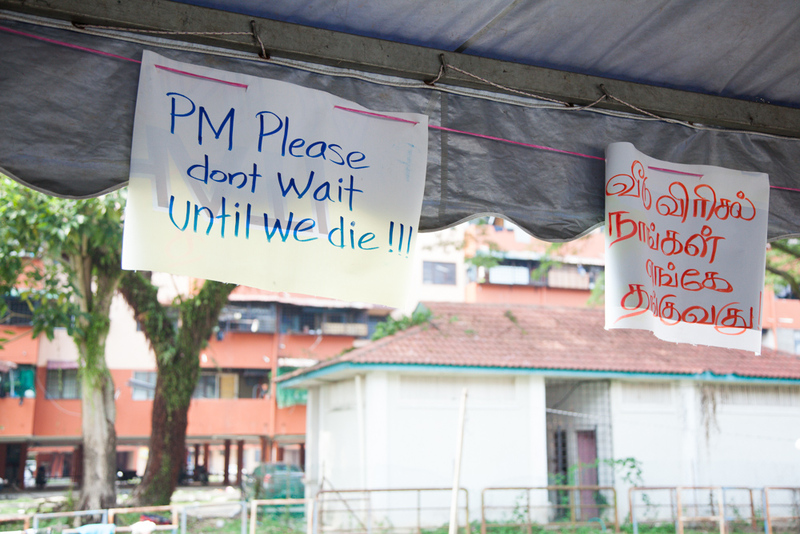 Banners with the resident’s lamentations. 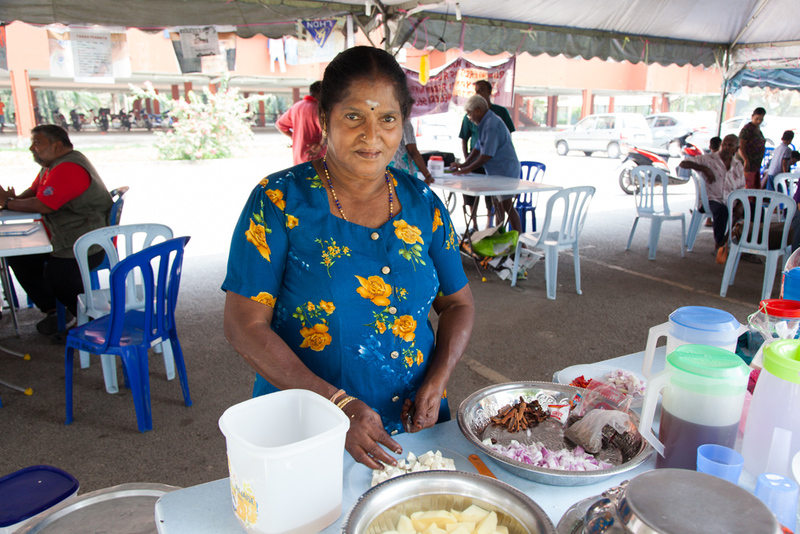 A resident preparing a meal. 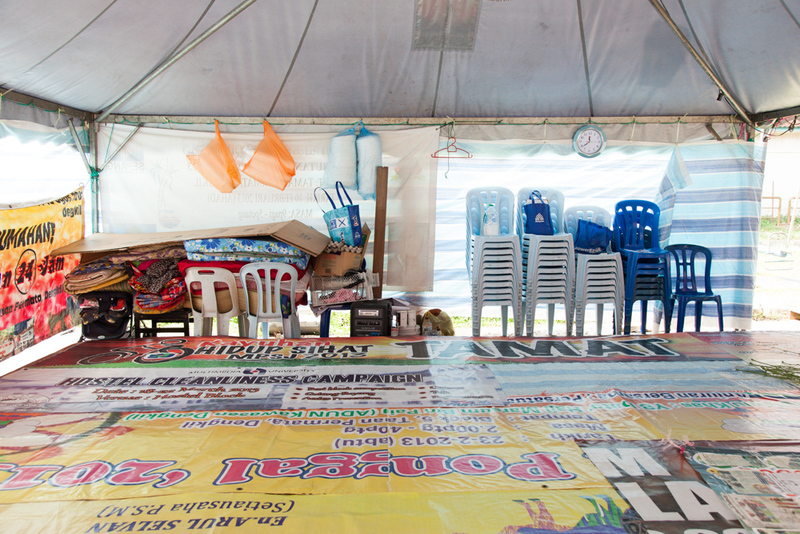 The sleeping area for the Taman Permata residents living beneath the tent. 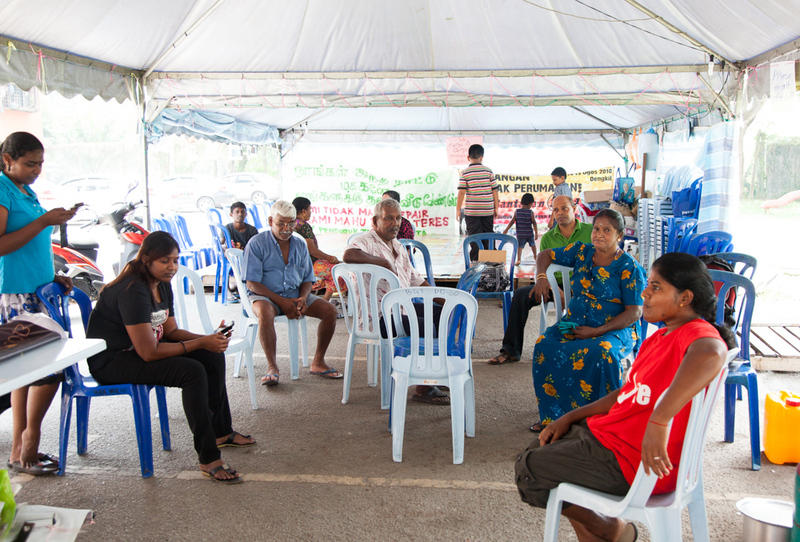 Despite the many hardships faced, the residents remain united, sticking to each other in solidarity. 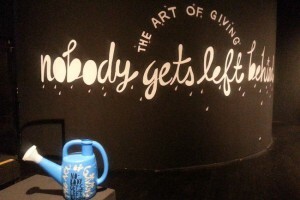 Residents are eager for any help they can get, but most of all, stay hopeful for their promised terrace houses.